If a run-of-the-mill Airbnb just doesn’t cut it for you, we’ve got just the ticket; how does a night in the Louvre sound? Now, before we dish out the details, let’s get technical for a second: you can’t really overnight in the Louvre; there’s too much shiny, expensive stuff in there. But if you’ve ever been to (or seen photos of) The City of Lights, then you’re probably familiar with the iconic Pyramid right outside the Louvre. See where we’re going with this? 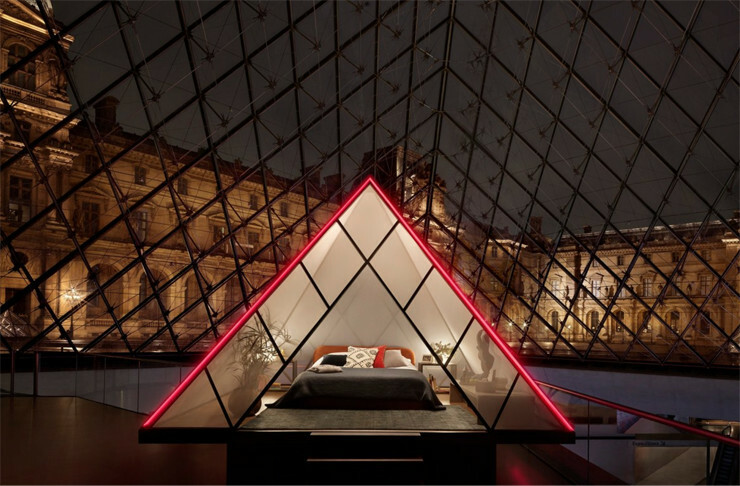 That’s right: to celebrate 30 years of the Louvre’s Pyramid, Airbnb is offering people the opportunity to sleep beneath the glittering glass and stars, right in the heart of Paris. And in addition to what sounds like an unforgettable and highly Instagrammable night, you’ll also score a series of exclusive visits and intimate gigs that’ll be bookable via Airbnb as part of this very exclusive offer. So, say goodbye to fighting a small army of tourists only to barely make it in front of the Mona Lisa; those days are gone. We’re talking a VIP tour of the Louvre, drinks with Mona Lisa herself (well...beneath the Mona Lisa), dinner beside Venus of Milo, and more. If you suffer from the “I never win contests” curse, don’t worry: from May until the end of the year, a series of exclusive experiences at the museum will be bookable on Airbnb by anyone, not just the lucky winners. Contest entries are accepted until 23:59 (CET) on Friday, 12 April, so get to it by signing up here. Badly bitten by the travel bug? Here are 5 frequent flyer point hacks you need to know.